Version with 8 CT inputs for breaker and half schemes or Capacitor bank protection applications. 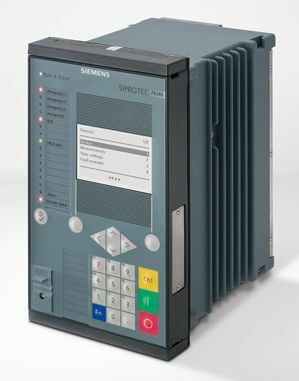 Siemens SIPROTEC 7SJ82 Overcurrent protection relay with point arc flash. Line sensor not shown. The 7SJ82 is the non-modular entry into Siemens SIPROTEC 5 overcurrent protection range. The 7SJ85 is the modular version, which allows expansion modules to be added providing more current, voltage or binary I/O, SCADA or arc interfaces. All SIPROTEC 5 units are supported by the one software tool “DIGSI 5” which is used for design through to commissioning and maintenance.